Caster Semenya (PHOTO:Getty Images/Gallo Images) . She’s a record-breaker, a trailblazer and a true inspiration – so it’s no wonder the track star bagged several gongs at the 2018 SA Sports Awards. Caster will take on the International Association of Athletics Federations (IAAF) at a hearing in February next year where hyperandrogenism will once again be on the table. 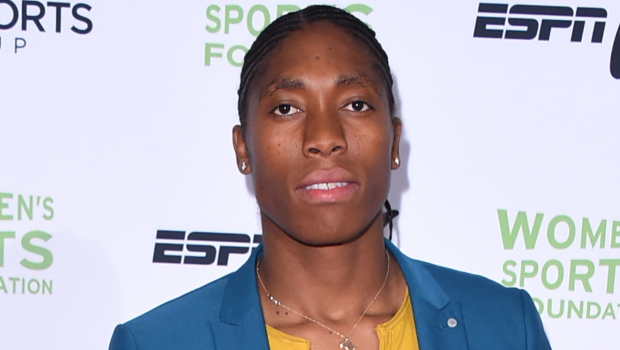 The IAAF has announced rules requiring hyperandrogenous athletes in the 400m, 800m and 1 500m – Caster’s distances – to take medication to lower their testosterone levels. But she’s fighting it – not for herself but for the next generation of athletes. “I’ve achieved everything I want to achieve in life,” she said. “I was sitting at home thinking I can’t let this thing go on. What about the next generation? It is killing them. For years she was coy about her love life – until she wed her long-time partner, fellow athlete Violet Raseboya, in Ga-Dikgale in the Capricorn District of Limpopo in 2015. They had their white wedding in Pretoria. The couple met in 2007 in a public restroom. “She was a runner and was being escorted by doping officials. She thought I was a boy and said ‘What is a boy doing in here?’” Caster admits the comment got her back up, and replied, “I’m not a boy. You think I’m lost? You think I can just walk in here?”’ They may have got off to a rough start but a friendship eventually flourished – and later blossomed into true love. Caster embodies the quote “Surround yourself with people who inspire you”. Team Caster’s heavy-hitting supporters include basketball superstar LeBron James, who flew out to watch her compete at a track meet in Berlin in September, and fellow Team SA stars Wayde van Niekerk, Akani Simbine and Luvo Manyonga. She’s paid back their loyalty by showing them support too, and was seen at the premiere of 43.03 – The Wayde van Niekerk Story – in support of the 400m track star earlier this year. She’s won two Olympic gold medals; three gold medals at the World Championships in 2009, 2011 and 2017, as well as a bronze in 2017. She was a double gold medalist at the 2018 Commonwealth Games. She’s also won five gold medals at the African Championships. The SA Sports Awards named her sportswoman of the year in 2012. She received the Order of Ikhamanga in April 2014, and was nominated for the 2018 IAAF world athlete of the year gong. Caster has never been shy to call on the legends when it comes to harnessing and refining her talent. Between 2011 and 2014 she was coached by the legendary Maria Mutola, an Olympic gold medallist and three-time world 800m champ. The veteran, who Caster admits is her idol, spotted her talent when she was a teen. “I always thought Caster would be the one to break the world 800m record because when she was 18 she was running 1:55s, and I think when she’s more mature she will get there,” Mutola said. Caster’s yet to break Czech Jarmila Kratochvílová’s 1:53:28 800m mark set in 1983‚ but she has set the national record of 1:54:25 – the fourth-fastest time in the world. Currently she’s being coached by Samuel Sepeng, Olympic silver medallist Hezekiel Sepeng’s brother. Caster and Sepeng have their sights set on breaking that record next season. Caster announced in March that she’d obtained her diploma in sports science from North-West University in Potchefstroom – no small feat considering her hectic travelling and training schedule. Violet tweeted that her wife, “builds and inspires others because she knows what it’s like to be torn down. Never give up in life no matter what. She is my inspiration. Mokgadi gotapa golema go ja lephala le Bashumi. Congrats Wewe”. I’m untouchable and I’m a danger to my opponents. As a Nike ambassador, it’s not surprising she boasts a collection sneakerheads would give their eyeteeth for. Her kicks range includes a pair of HFR x LeBron 16 sneakers, designed by NBA star LeBron James; Nike VaporMax Off-White; and Nike React trainers. She’s also featured in a Nike commercial which celebrated the brand’s 30th anniversary of their famous Just Do It slogan. With a brush of the shoulder and her hands spread wide, her cobra stance has become her signature move in post-race celebrations. Caster and Violet founded the athletics club Masai AC and “anyone who wants to join, you are more than welcome”, the Olympian said. There’s also the Caster Semenya Foundation, which recently teamed up with the PrincessD Menstrual Cup manufacturer to donate cups to schoolgirls. Because girls should be in school when they have their periods, Caster believes. 1:54:25 Her personal best time in the 800m, a national record. 4:00:71 The time Caster set in 1 500m at the Commonwealth Games when she broke Zola Budd’s 34-year record by shaving off more than a second of the time. In 2018 we saw her break national records in the 400m, 800m, 1 000m and 1 500m. Her placing on the list of all-time women’s 1 000m world rankings. She’s two seconds off the pace of the two decade-old world record of 2:28:98 run by Russian Svetlana Masterkova.